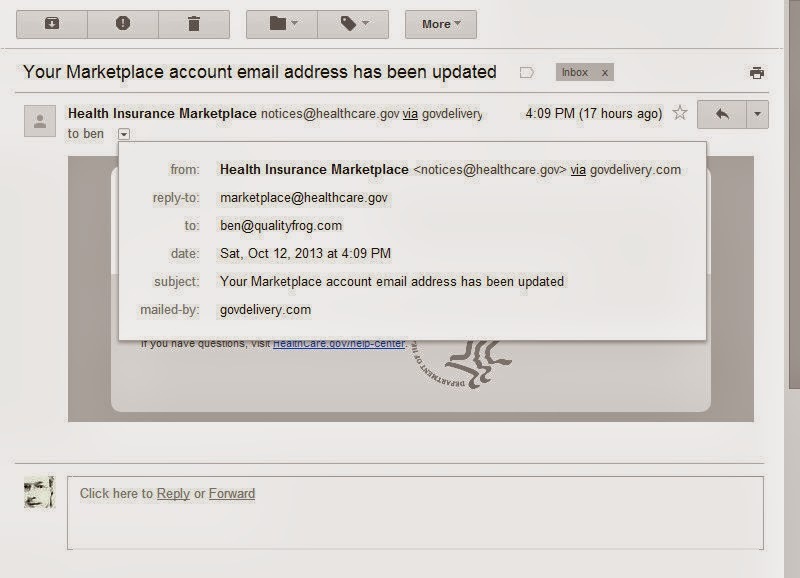 After using a test email to create my account at Healthcare.gov, I changed it to my primary email address. 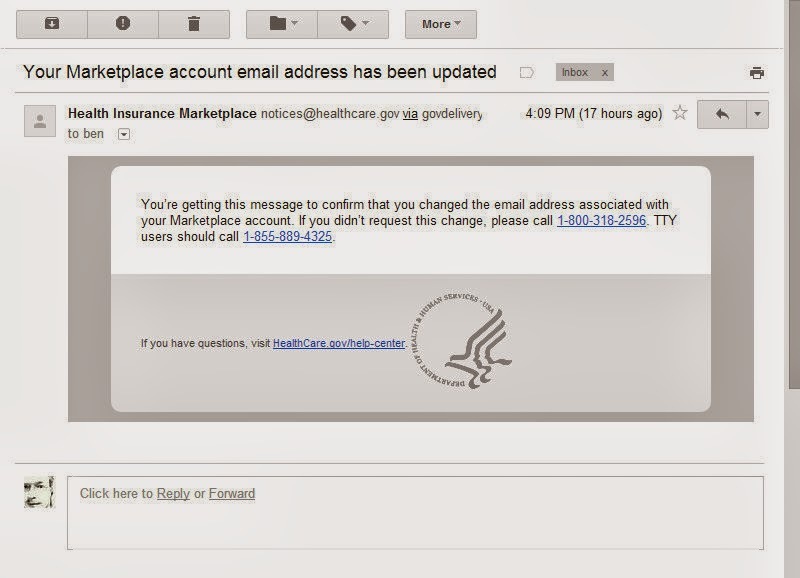 As many systems do, Healthcare.gov sent an email notification of email address change. This is typically done to provide the owner of an account that their account has been compromised in the event that they are not the one who made the change. In order to be useful in informing the owner of an account of the change in the event that someone else made the change, these notification need to be sent to the old address. Some systems will send these change emails to both the old and the new address. However, in the case of Healthcare.org, I only received an email at the new email address. I did not receive one at the old address. While it is possible that I did not receive an email that was sent, I repeated the exercise the next day and changed my email address again: I received notification at the new address and not the old. Sending notification emails to only the new address defeats the purpose of notifying users when their email address changes. This makes it easier for those with malicious intent to go unnoticed.